The court has directed the Centre to respond and posted the matter for further hearing on November 9. The fight between traditional drug sellers and online e-pharmacies took a new turn as the Madras High Court has granted an interim injunction restraining online sale of medicines till further orders, based on a plea from the Chennai-based Tamil Nadu Chemists & Druggists Association. The court has directed the Centre to respond and posted the matter for further hearing on November 9. The association demands to block links of websites selling medicines online as purchasing medicines from unlicensed online stores can be risky. These websites may sell fake, expired, contaminated, unapproved or unsafe products that are dangerous to patients and which might put their health at risk. Rules for selling drugs in India are based on Drugs and Cosmetics Act, 1940, Drugs and Cosmetics Rule, 1945 and Pharmacy Act, 1948 and these were written prior to arrival of computers and India does not legalise online sale of medicines, the petition said. "We came to know from the media that some order was passed by the Honourable Madras High Court and we would not be in a position to comment on this till our legal team examines the implications of the ruling", said Pradeep Dadha, founder and CEO of Netmeds.com, one of the largest e-pharmacies operating in the country. In the last two years, the 6-8 lakh odd traditional medical shops, under the banner of All India organization of chemists and druggists (AIOCD) have been protesting against proliferation of e-pharmacies in the country. It is estimated that about 250-280 online pharmacies have come up in the country and they have cornered over Rs 800-1000 crore of the Indian drug market worth over Rs 1.2 lakh crore a year. Online pharmacies, like in other e-commerce business models, offer deep discounts ranging from 25 per cent to 60 per cent, besides offering value added services and free home delivery. Sources say half a dozen leaders like netmeds, 1MG, Lifecare, Medlife and Pharmeasy have so far raised over Rs 1,700 crore from venture capitalists and are aggressively marketing their business. Following the protests, last year the Drug Controller General of India (DGCI) had formed a seven-member panel to look into the issue of online drug sales and had suggested licensing the pharmacies. As per the draft guidelines which are yet to be legalised, e-pharmacies have to register with the DCGI for a fee of Rs 50,000, which will be valid for three years. E-pharmacies will not be allowed to sell narcotic drugs, tranquilisers, and Schedule X drugs and are also not allowed to advertise any drugs. 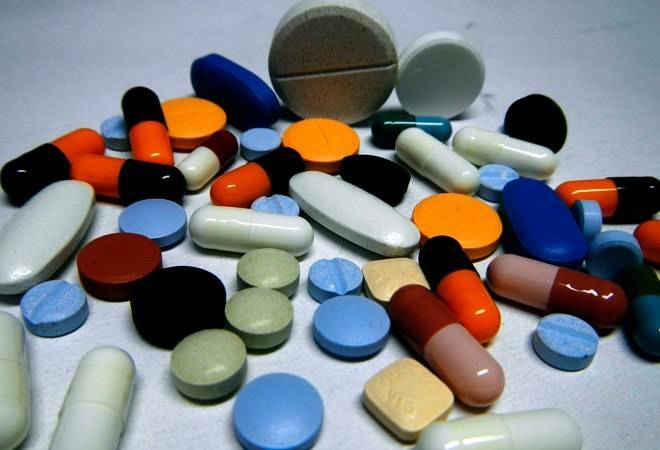 In the west, the drug regulators have devised mechanism to monitor and regulate e-drug sales. The National Association of Boards of Pharmacy (NABP), the apex pharmacy body in the US, gives registration and certification for e-pharmacies and they have to display the certification logo on their website.